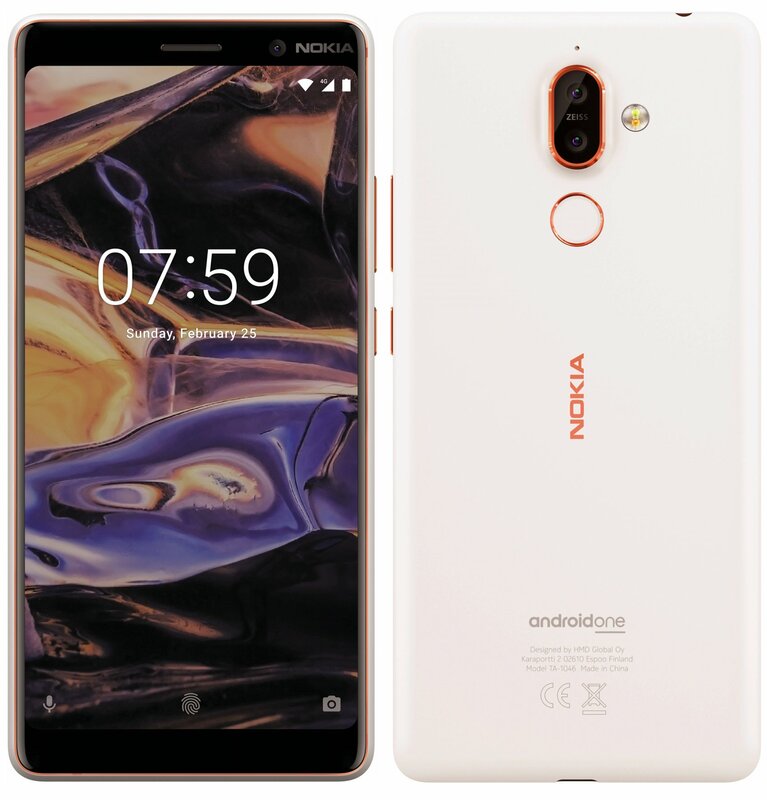 The rumors and leaks of the Nokia 7 Plus started from January as the phone was spotted on Geekbench, revealing the powerful Snapdragon 660 chipset under the hood. After that, the design of the smartphone was also revealed, thanks to the images that revealed rest of the major specs along with the renders. Today, Evan Blass, the most trusted guy on the internet related to gadget leaks, has posted the official press renders of the phone on Twitter. The renders reveal the beautiful design which is quite similar to the 2nd gen Nokia 6. One of the things that you’re going to notice while looking at the render above is the ‘Android One’ branding. After the Xiaomi Mi A1, HTC U11 Life and Moto X4, this is going to be the next Android One smartphone so the phone will ship with stock Android. Also, it will be receiving guaranteed Android Updates for the next two years. We already know that Nokia is right now among the few smartphone manufacturers that provide regular Android updates. In fact, Nokia recently rolled out the February Security patch on the same day when Google rolled it for its Pixel devices! Just like the 2nd Gen Nokia 6, the fingerprint scanner is placed on the rear, but unlike the Nokia 6 (2nd gen), the Nokia 7 Plus has an 18:9 display on the front with rounded corners. There is a dual rear camera setup with Zeiss branding and dual LED Flash. The Nokia logo on the back, fingerprint scanner, camera module and the frame have a Red accent that looks beautiful. As per the specifications, we know some of the details like Snapdragon 660 Processor, 4/6GB RAM, Android Oreo, USB Type-C, 6-inch 18:9 Full-HD+ display, 12MP+13MP dual rear cameras and 16MP front-facing camera. Overall, with these specs and a beautiful design, it seems the Nokia 7 Plus will be a great mid-range smartphone. What are your opinions? Do let us know via the comments section.